Dart’s 427 cubic inch Ford short block package has been rigorously tested and carefully designed and assembled by the same builders that build Dart’s high performance racing engines. 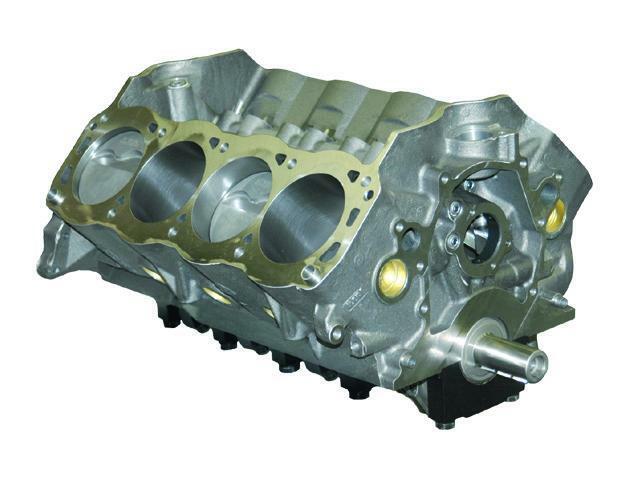 Compression ratio 9.9:1 with 58cc heads and .045” gasket. 9.5:1 with 62cc heads and .045” gasket. 545 Ft. Lbs. @ 4,800 rpm. Built on Dart’s powerful Ford SHP 9.5” block for excellent reliability. 4.125” bore and 4.000” stroke. Forged 4340 H-beam rods with 7/16” cap screws. Forged dish top pistons with full floating pin.